Architects for Peace is a humanitarian, not for profit professional organisation for architects, urban designers, engineers, planners, landscape architects and environmentalists, seeking urban development based on social justice, solidarity, respect and peace. The organisation was established in 2003 by University of Melbourne student Beatriz Maturana. While Architects for Peace started here in Melbourne, it now comprises of active and committed members from across the globe. Targol will use her new position to lead the organisation towards creating and promoting social justice through the built environment. They envisage a future where urban spaces are planned, designed and used in the interests of social equity and environmental protection. In 2016, she will focus on the theme of “youth activism” to explore how activism functions in a human-made environment. Trained in Architecture and Urban Planning, Targol has worked in professional practice since 2001. She held leadership and management positions across a number of professional associations in the Middle East and Europe before moving to Australia in 2013. Targol has strong experience working with people from varied backgrounds in a community based setting including community development projects in Australia and Iran. Over the past three years Targol has coordinated several community engagement and community-led projects across Australia. Her humanitarian work includes facilitation of workshops for women from diaspora backgrounds in Sydney and Melbourne. 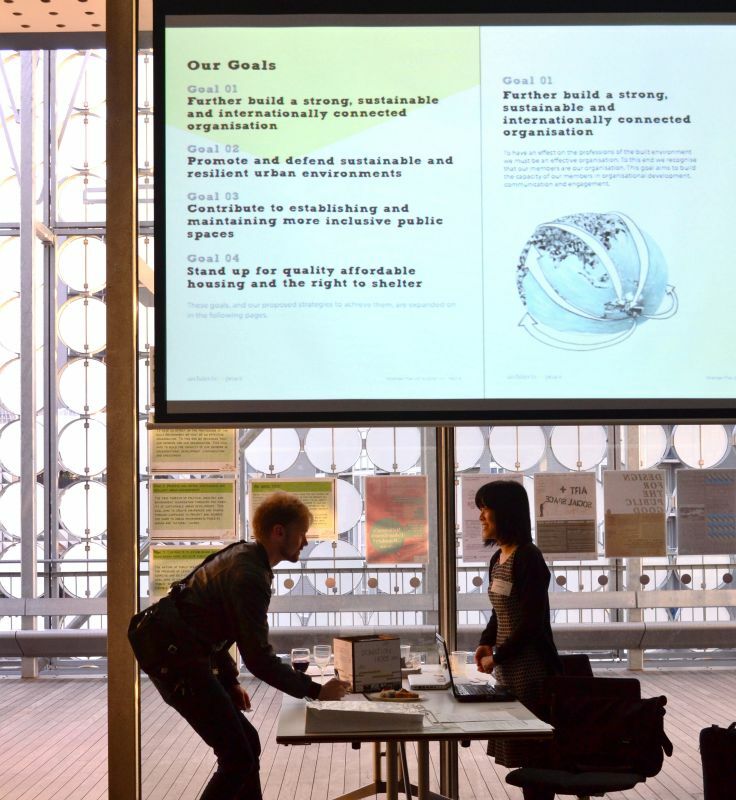 Goal 1: Further build a strong, sustainable and internationally connected organisation. Goal 2: Promote and defend sustainable and resilient urban environments. Goal 3: Contribute to establishing and maintaining more inclusive public spaces. Goal 4: Stand up for quality affordable housing and the right to shelter. We look forward to hearing about Targol’s leadership of Architects for Peace, and their activities, throughout 2016.